The yellow or orange color of a fruit or vegetable is a clue that it’s rich in beta-carotene, which is what the body uses to make vitamin A. It’s an important nutrient with all sorts of great benefits, like protection against memory loss, heart disease, cancer, and stroke. 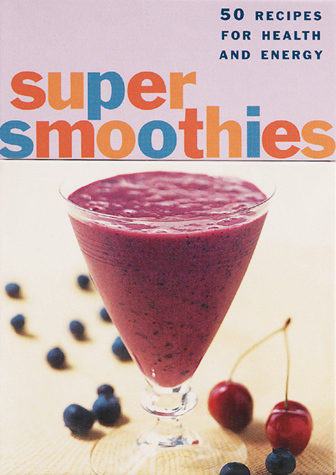 Of course those same fruits and vegetables make an excellent smoothie, too, which is really why we like them so much. 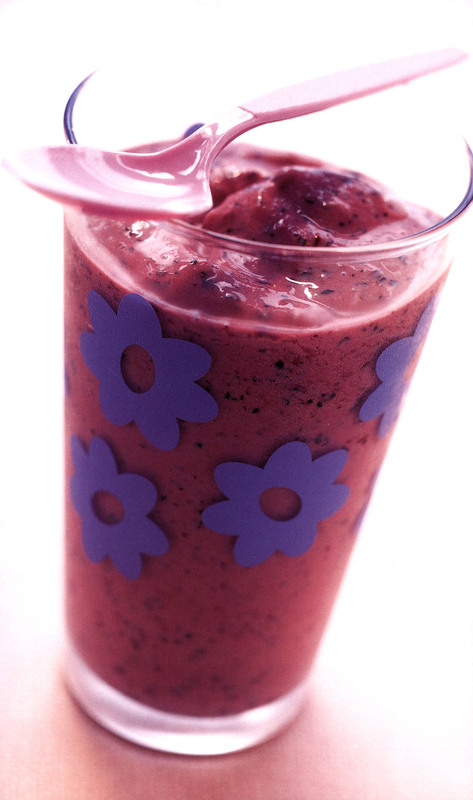 Kids flip for this vivid purple smoothie. It’s a terrific way to get a juice fix, and because it’s made with yogurt, it’s rich in calcium, which is essential for strong bones and teeth. There are few foods quite as refreshing as melon, and combined with frozen green grapes, the result is uniquely clean and satisfying. The addition of cucumber in this smoothie makes it cool and hydrating, certain to be welcome on a sweltering summer day. 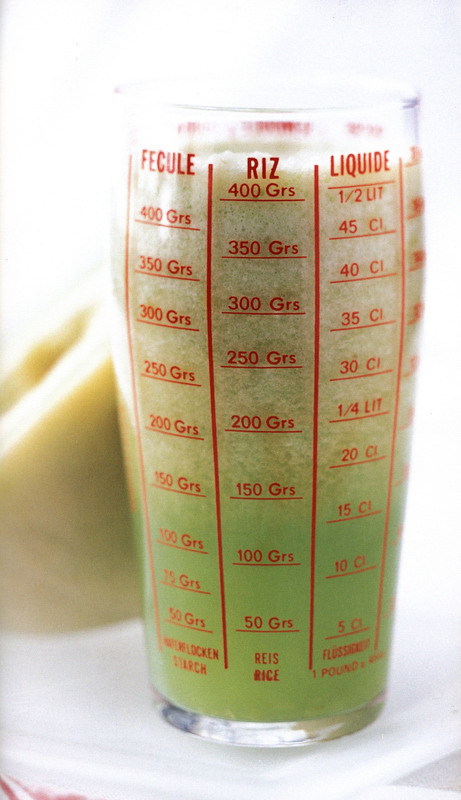 Even those who aren’t counting their calories and fat grams will be wowed by this healthy version of a green slurpee. Researchers and nutritionists know that kids who eat breakfast perform better in school than those who don’t, but parents know that getting kids to eat a healthy morning meal is not always easy. 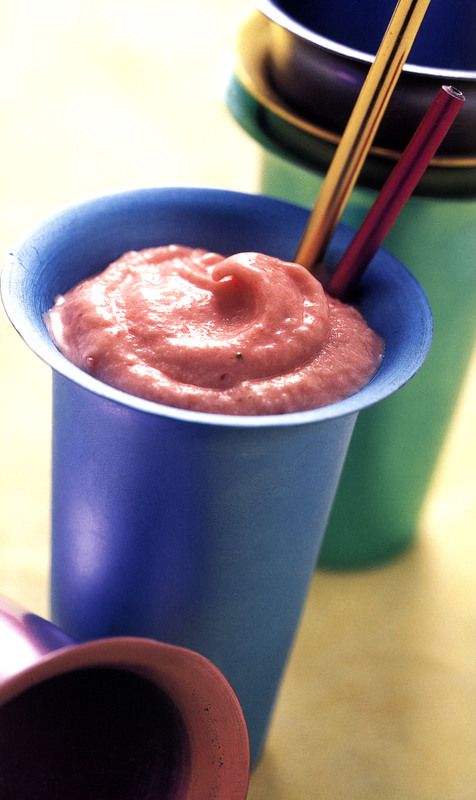 Well, you’ll hear no excuses when this eye-opening blend of strawberries and bananas is served. 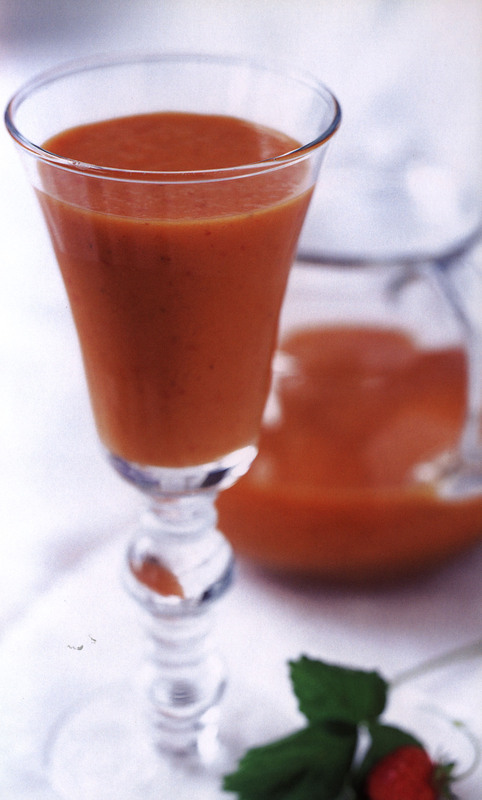 It takes only a few minutes to make and drink, and it’s rich in vitamin C and protein. Plus, kids find it irresistible.